Star Anise has come into the West as a less expensive substitute for anise in baking as well as in liquor production. 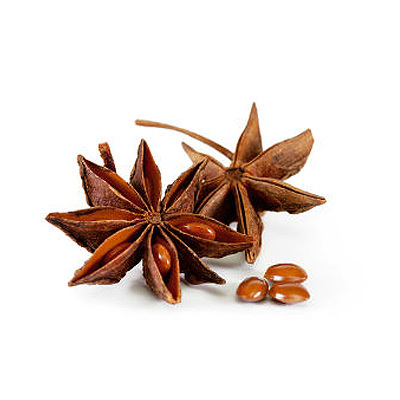 Star Anise enhances the flavor of meat and is an ingredient of the traditional five-spice powder of Chinese cooking. It is also widely used in Indian, Malaysian and Indonesian cuisines.